Pump the mousse onto the Applicator Mitt and apply in light sweeping motions, starting from your legs and working your way up. Once the whole body is covered, wait until touch dry before getting dressed. Wait 1, 2 or 3 hours depending on your desired shade, then rinse off the tinted guide color with warm water only. 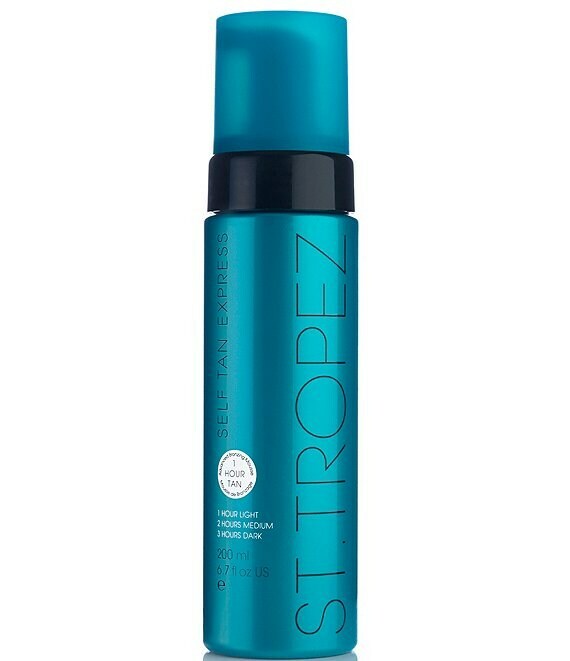 After showering, skin will have a light color but the self tan actives will continue to work for up to 8 hours, developing and deepening into your chosen shade of tan that lasts for days. Longer than 3 hours wear is not recommended. Tanning time and developed color may vary.